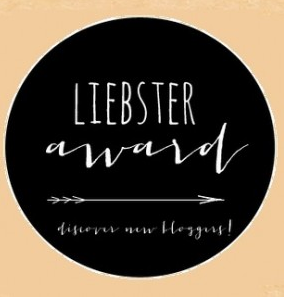 I was nominated for a Liebster Blog Award which is super exciting. Thank you to JanaBananaRD for nominating me. If you haven’t heard of this award, it’s an award for bloggers given by bloggers. When you are nominated for the award, you answer a set of questions asked by the blogger who nominated you and then nominate 11 other bloggers, and give those bloggers a set of questions to answer. Below are the Q and A. At first I started blogging to share my journey of training and running 50 marathons in 50 states. After catching up with the states I’d run, I found I really liked writing and sharing information about the sport I love with others. Writing has become a great creative outlet for me and place to not annoy my family and friends (most non-runners) with too many running conversations. I’ve also been reminded of how great and supportive the running community is. 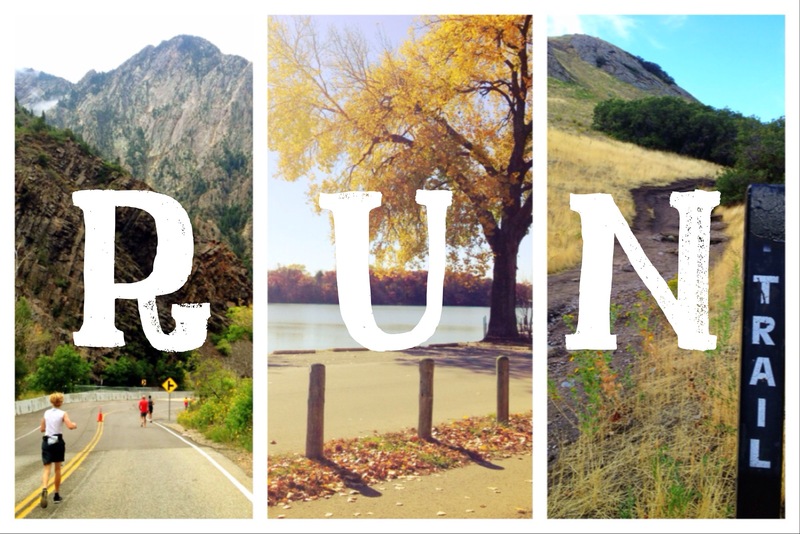 Running is like a secret club where everybody gets in by simply running some miles. It’s the best. 2. What is your favorite way to stay fit? Based on the previous question it is probably obvious that running is my favorite. I’ve always loved the freedom, problem solving, stress relieving, and energizing properties of the sport. I do love to watch any sports Wisconsin, and love to do outdoor sports, too. Hiking and biking are other favorites of mine. I’m also falling in love with yoga and how it makes me feel better as a runner. I live in the great state of Wisconsin. The state of cheese, beer, and extreme winter running conditions. I live where it can be 60 one day and snowing the next. I live where summer humidity can be just as brutal as winter windchills. I live where nature’s beauty is always steps away and the biggest freeway is only two lanes wide. I live where people are kind, passionate about their Wisco teams, and we have amazing seasons to run, hike, and bike through. Hmmm… This is a challenge for me. I get inspired by people everyday-my students, husband, other bloggers, quotes on pinterest…I guess I’m easily inspired. Perhaps the most inspiring people throughout a consistent period of my life was/is Suzy Favor Hamilton. As a young runner growing up in Wisconsin, Suzy Favor was the running hero. She won the state championship four years in a row and ran in multiple summer Olympic games. Despite her recent activities I still consider her an inspiration. We all have imperfections and challenges that we work to overcome. When I met her for the first time with the cross country kids I coached, she was nothing but sweet, patient, and kind. Today I consider Kara Goucher and Shalane Flanagan both inspirations, too. Do coffee and Diet Mountain Dew count? If not, then pizza. There are so many ways to change it up, make it healthier, or vary the flavor. 6. What’s the farthest that you’ve run (for fun or a race)? 26.2 miles plus some small negligible amount that is totally not negligible when you are in that position. That is until June 2014 when I attempt my first 50k. 7. What’s your favorite recipe to share? 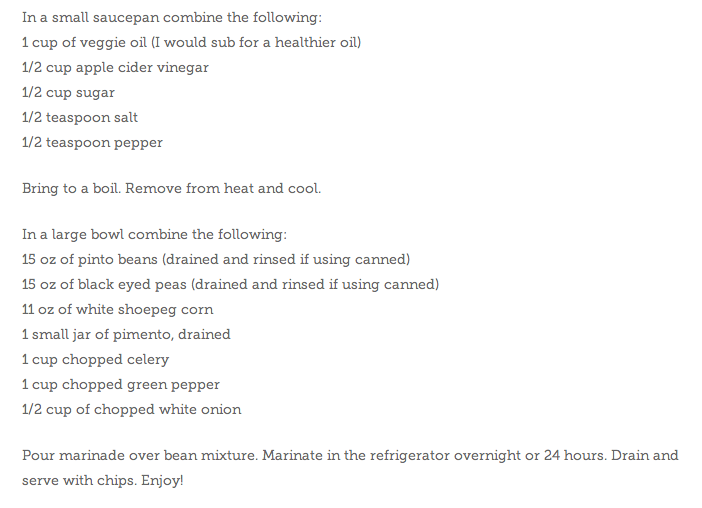 Cowboy Caviar. I simply love the stuff. It is delicious, healthy, and brings back fond memories of summer grilling, no snow, and warmer temperatures. Plus, I haven’t met someone who doesn’t love it. I usually follow the above recipe and use half the sugar. 8. Who’s your favorite team to cheer for (any sport)? Any Wisco teams. 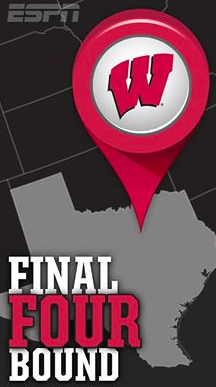 Right now…the Badgers. Final Four, Baby! 9. What’s the best group fitness class you’ve tried out? Where I live fitness classes are very limited, but I’ve loved both the spinning and yoga classes I’ve taken. 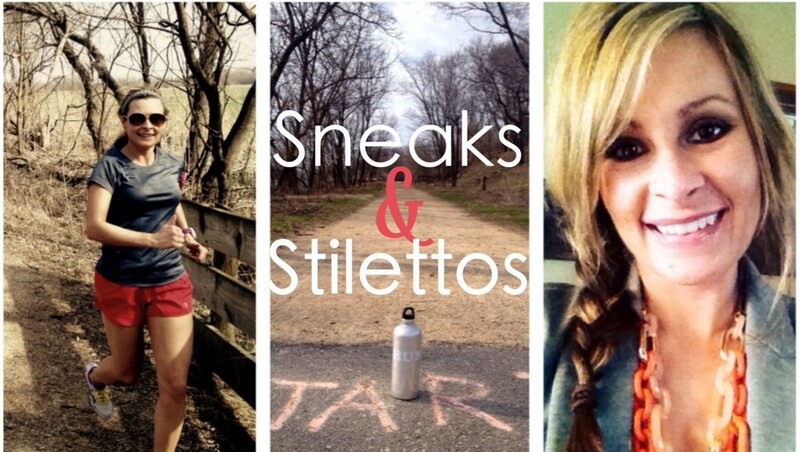 Both are great forms of cross training and make me feel stronger and healthier as a runner. 10. What’s your favorite thing about blogging? Having a written record of the challenges and successes of the my journey and “meeting” other who love the sport as much as I do-that is not something I find often in my group of in person friends. Being able to gain ideas and insights as well as share them is invaluable. In a way we are all our own coach, so we help coach each other. 11. Are you going to pass on the torch and nominate 11 other bloggers? Yes, but give me a few days. I’ve been really busy and like to make careful decisions. I will nominate 11 other bloggers in the next few days. Thanks again to JanabananaRD for the nomination!